November 1 was All Saints Day. November 2 was All Souls Day. Early November is a time for remembering saints and loved ones who have passed. Staying connected to our ancestors and honoring saints whose lives demonstrated love can strengthen our ability to have healthy relationships. 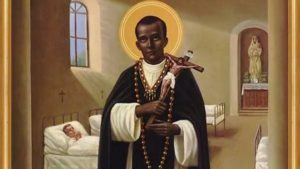 If you are remembering and honoring saints this November, remember Saint Martin de Porres, who was the first Black saint from the Americas. Born in Lims as the illegitimate son of a Spanish nobleman and freed Black or indigenous Panamanian woman, Martin died November 3, 1639. Martin lived in Peru where Blacks and Indians were not allowed to become full members of religious orders. He was known for caring for the sick and downtrodden, especially African slaves.Martin performed miracles, curing the sick instantaneously and feeding many through alms he collected. It was said that when Martin prayed, light would flood the room. Click here for more about his life. 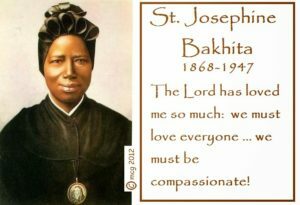 Remember Saint Josephine Bakhita. 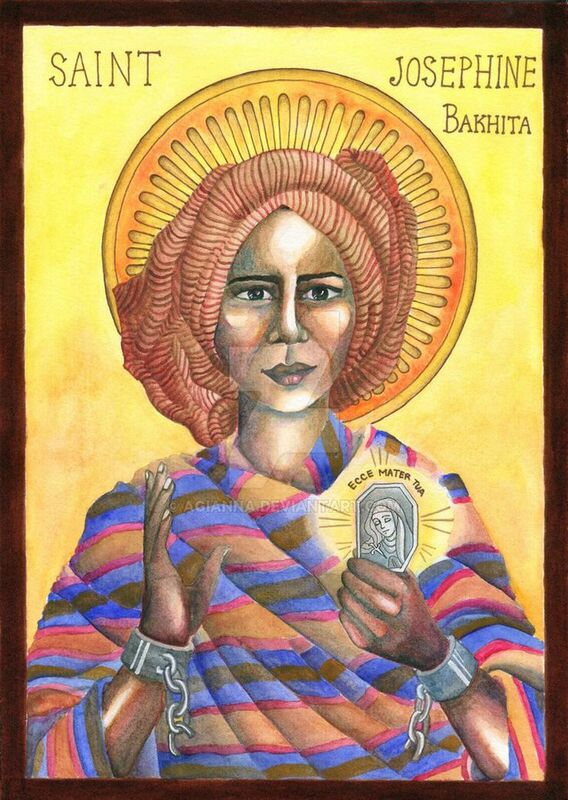 She was the first African woman saint. Born in the mid 1800’s in Sudan, Josephine was kidnapped and taken into slavery by Arab traders. She was bought and sold several times over a period of twelve years before was placed in a convent in Venice, Italy. Click here for more about her life and love for all. Venerable Henriette Delille may become the first Black American female saint. 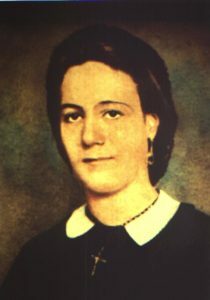 A French-speaking creole born in 1813 in New Orleans, LA, Henrieette founded the Sisters of the Holy Family. The religious group was created to care for the sick and educate the ignorant, focusing on educating slaves, which was illegal at the time. Like her mother and other relatives, Henriette lived in “placage” or in concubinage with a White man. Interracial marriage was illegal at the time. November is Black Catholic History Month. Click here for more on leaders of African descent and here for the Black Catholic History Calendar in the Washington, DC area. For Black saints you’ve never heard of, check out Madame Noire’s post. Click here for more All Saints Day posts from SuzyKnew! I really enjoyed this article. St. Martin de Porres played a big part in my life in Mobile. It was a hospital that Blacks went to, including my mother. Being raised Catholic as a Black person in the South makes me appreciate these stories even more. We’re glad you enjoyed the article. This is your place to explore and enjoy what it means to be a Black lady in today’s world. Come back and visit us again – you here! This article was truly touching to my spirit. Thank you for sharing this. ASK JANICE SPECIAL: How Do We Respond To Domestic Violence?